There is not a lot that we ask of you as our marketing partner. Take great pictures, get positive reviews, provide feedback, and answer the phones. We make it easy because we want you focused on closing sales and providing outstanding support, it is as simple as that. 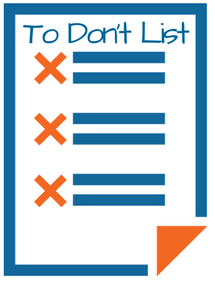 So instead of a list of more things for you to do, here is a To-Don’t List! Don’t put additional money towards adwords or PPC, or other online marketing efforts. It ends up costing you in multiple ways. When you run competing online ad campaigns, you get less leads from us because we have to pay more per click when there are more competitors in the marketplace. This also means that you have to pay more per click for the competing campaign, as well. It ends up hurting your efforts on both sides of the table. There are online marketing efforts that we don’t perform that you are free to test for your own business, such as social media campaigns. However, these aren’t a part of our service blend because we have found that they are not one of the most reliable or cost-efficient methods of online lead delivery. Our specific marketing mix and approach is targeted at providing maximum results for dollars, based on our 20 years of research and experience supporting thousands of marketing campaigns, for both ourselves and our clients. We handle all content needs for you, both on and off-site. We don’t blog for you, for the reasons stated above. However, we do create targeted sales pages that support our marketing efforts and do a variety of off-site SEO-focused link building through written content, such as press releases, to help generate high-quality links to your website. The fact is, there is so much content online already that writing a blog post without a specific plan for distribution, targeted content, and link strategy is like tossing a bucket of water in the ocean. There are only 2 types of feedback we need from you- responses to our emails and completing your lead manager. When we reach out to you with a request, it is often urgent. Many of our business-building activities are time sensitive, and we don’t want to miss out on opportunities for you due to slow or non-responsiveness. Be as timely as possible with providing any requested details or responses to keep your project moving smoothly. Your feedback is vital to the success of your campaign, and it is hard for us to give you the results that you want and deserve if you don’t provide us with information regarding lead quality and profitability of different types of jobs. 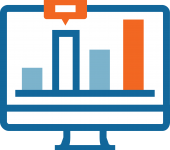 Accurately completing your lead manager provides us with a wealth of information about the results we are delivering for you. We can not only pinpoint specific leads that were winners, we can trace that customer journey to determine what individual marketing elements influenced their decision to buy, giving us a greater understanding of how to replicate your desired results. Lead counts ebb and flow. There are seasonal reasons, political reasons, economic reasons, environmental reasons, and more. If you go a day without a lead from us, don’t stress out. Sometimes that will happen, and we make sure that the law of averages keeps you afloat. If you don’t get any leads from us for a couple of days, feel free to drop us a note, although I can guarantee that our team is working around the clock to figure out what is going on to resolve it for you. When we experience these slow times, for whatever reason, we do everything we can to over-deliver when they pick back up to ensure that you are able to make up for any downtime. Our President calls mishandling leads “catch & release lead generation.” Essentially, we have taken you charter fishing, baited the line, hooked the fish, and got it to the boat, only to have you reel it in and toss it back by either not responding in a timely manner, by handling the call poorly, or simply because you think it isn’t big enough to keep. In order for you to be successful, we both have to do our part. We know that not every fish we send is a trophy marlin, but sometimes they may be affiliated with a whole school of fish of all shapes and sizes! Follow-up fast, frequently, and forever, treating every lead as if it could be the catch of the day. Seriously, though, entrepreneurship is hard. It is taxing on your mind, body, spirit, and relationships. You will have to make some hard decisions, ones you never wanted to be faced with. Things will go wrong, little things and big things, that will make you want to give up. I am a firm believer that anyone can do anything with the right tools, access to information, and a little patience. 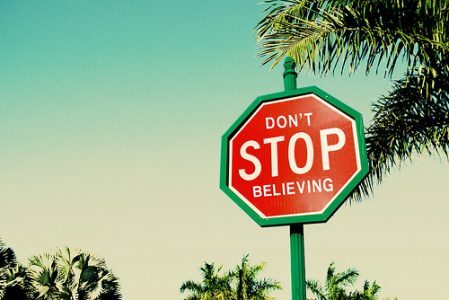 So be patient, gather your tools, do some research, and keep the dream alive. Ok, so that was 6, but we like to overdeliver on our promises. We strive to deliver outstanding results to all of our clients, so you can focus on doing the same for yours. 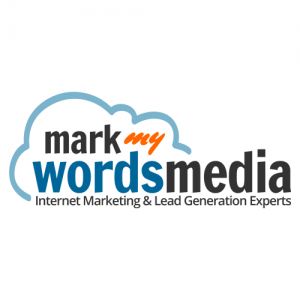 If you have questions about your marketing campaign, or would like to learn more about how Mark My Words Media delivers verified leads through all-inclusive, self-funding campaigns, reach out to us at (877) 721-8491 to speak with a Lead Generation Expert.